17 N San Francisco St.
Loving the new space. Absolutely gorgeous!!!! Best wine selection in town! Knowledgeable, friendly, humorous staff! Satisfying, flavorful, food! This place is the best wine and culture joint in Flagstaff! 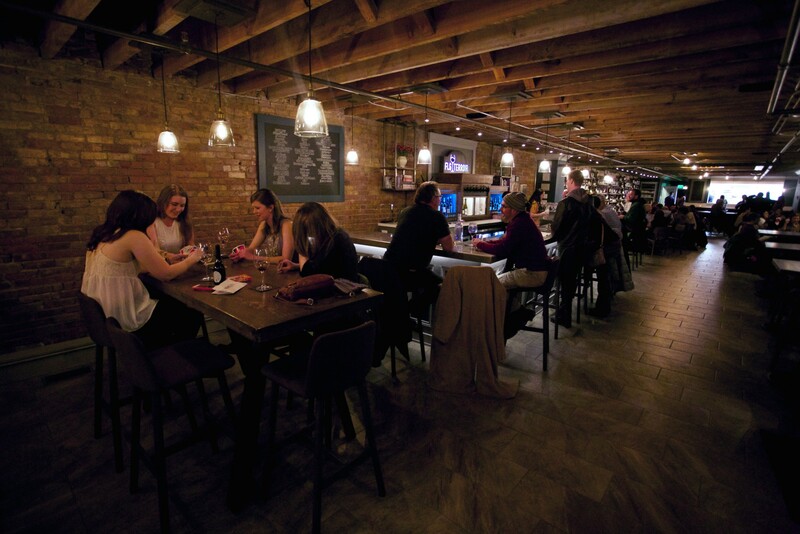 Get over here for a great wine selection, a super well done interior and atmosphere. FLG Terroir is the reinvention of the old Wine Loft in historic downtown Flagstaff. We specialize in small boutique wines from throughout the world in all price categories. Our list is fast approaching 500 labels, which makes us one of the best wine bars in Flagstaff with an assortment of choices for your experience. We offer 30 wines by the glass and a great selection of bottled beers with a focus in Belgian Ales. With the addition of a kitchen we are not only a wine bar in Flagstaff, but a fast growing hotspot in the local foodie scene. Featuring oysters on the half, small creative plates, house-made ice creams and so much more. With our fully renovated space and commitment to quality service, FLG Terroir surely sets the standards high for wine bars in Flagstaff and is a place to visit again and again. Sign-up to receive promotional emails for upcoming events and special deals!